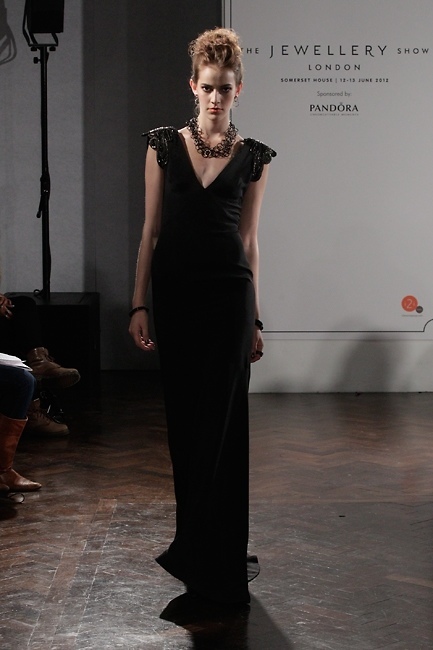 As some of you may know Morella Sasson participated at The Jewellery Show in Somerset House this month. The exquisite jewellery complimented our designs beautifully! The catwalk event was styled by Siouxsie fashion stylist. This entry was posted in New & Press, Shows and tagged Autumn Winter 2012, Morella Sassoon, Rous Iland, SIOUXSIE, SIOUXSIE fashion stylist, Somerset House, The jewellery show, The jewellery show 2012. Bookmark the permalink.